Product prices and availability are accurate as of 2019-04-25 03:09:06 EDT and are subject to change. Any price and availability information displayed on http://www.amazon.com/ at the time of purchase will apply to the purchase of this product. 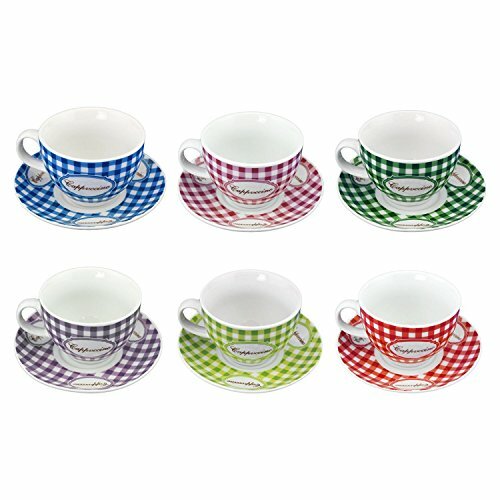 This set is for 12 pieces, which include 6 mini cappuccino mugs and 6 saucers. 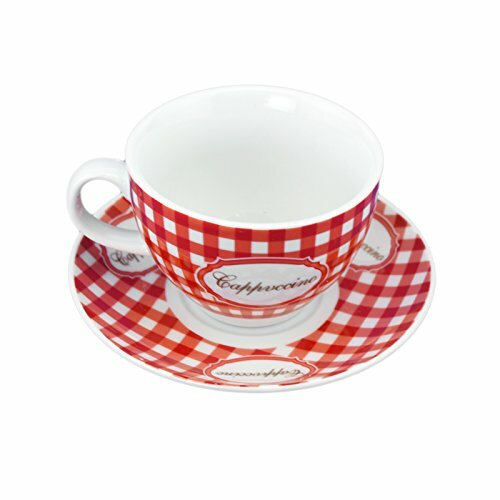 Each adorable cup has its own matching saucer with a classic gingham pattern design! 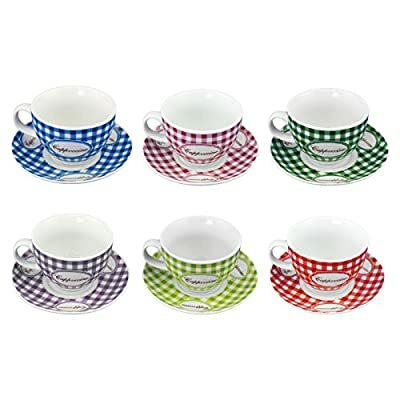 Colors include: Currant & Blush gingham Red, Denim & Carolina gingham Blue, Avocado & Lime gingham Green, Rosewood & Crepe gingham Pink, Eggplant & Mauve gingham Purple, and Myrtle & Juniper gingham Green. Mug Measurements: approx 2.25" Tall x 4" Wide (5.7cm x 10.2cm). Cup Mouth Diameter: approx 3 1/8" (8cm). Saucer Measurements: approx 5" in Diameter (12.7cm) and stands ap prox 0.5" Tall (1.3cm). 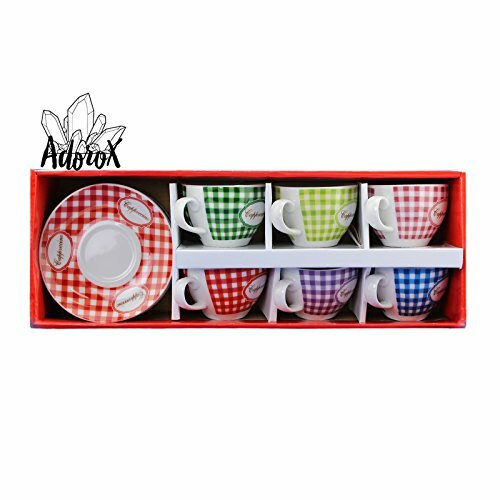 This lovely Cappuccino Set makes a great gift for your favorite caffeine lover or for the young ones who love to dress up and play pretend!